Golden Color and Delicate Taste: With a light-golden hue, this delicate and mild tasting syrup is a favorite on pancakes, waffles, ice cream, and more. Amber Color and Rich Taste: This amber colored syrup has a full-bodied and rich flavor. This grade is great as a topping and in coffee & tea. Very Dark Color and Strong Taste: This strongest maple syrup flavor is typically used as an ingredient for flavor and sweetening. 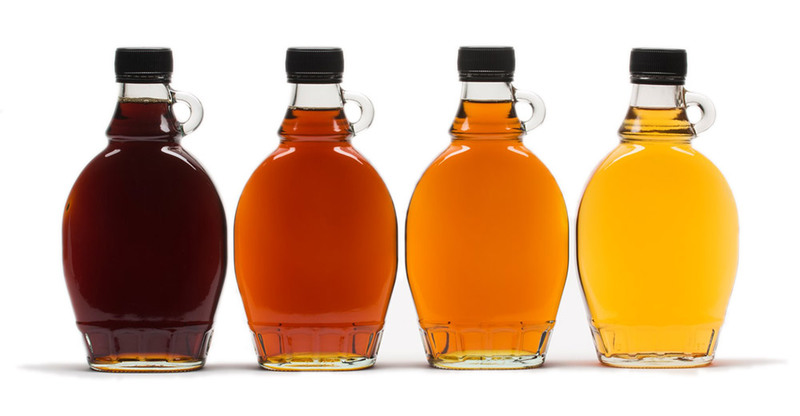 Whatever your maple preferences are, you will find superior flavor and quality in every bottle of Coombs Family Farms maple syrup. With seven generations of experience under our belts, you can taste the difference! Try out a few grades and see for yourself how much better your favorite meals can be with maple syrup!